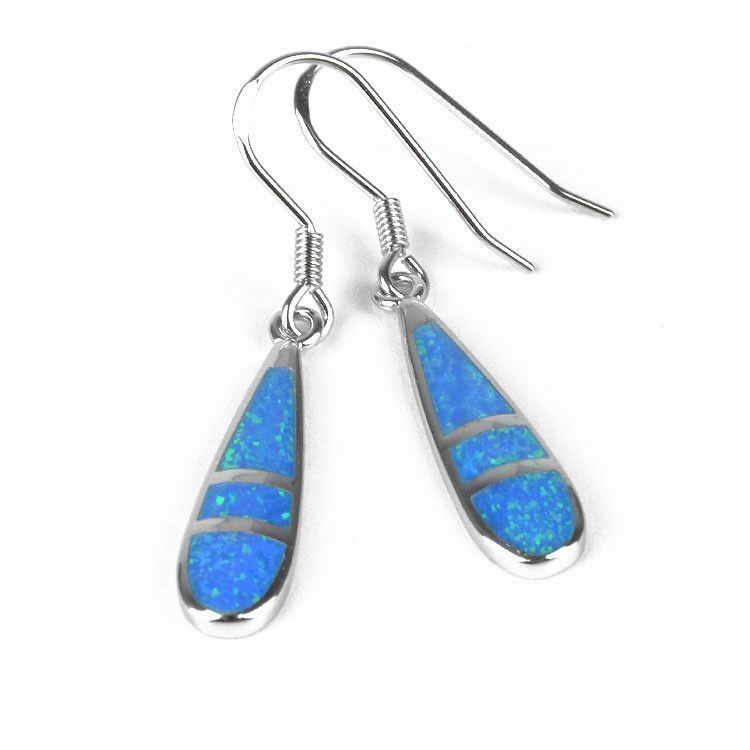 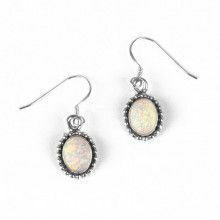 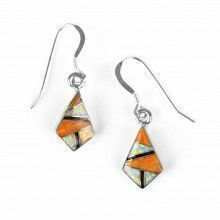 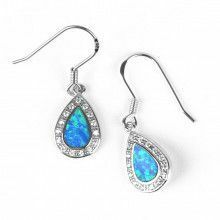 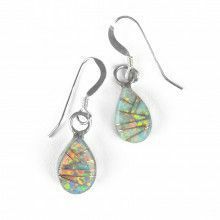 These blue opal earrings feature an elegant design of the blue-green lab stone inlaid into sterling .925 silver. 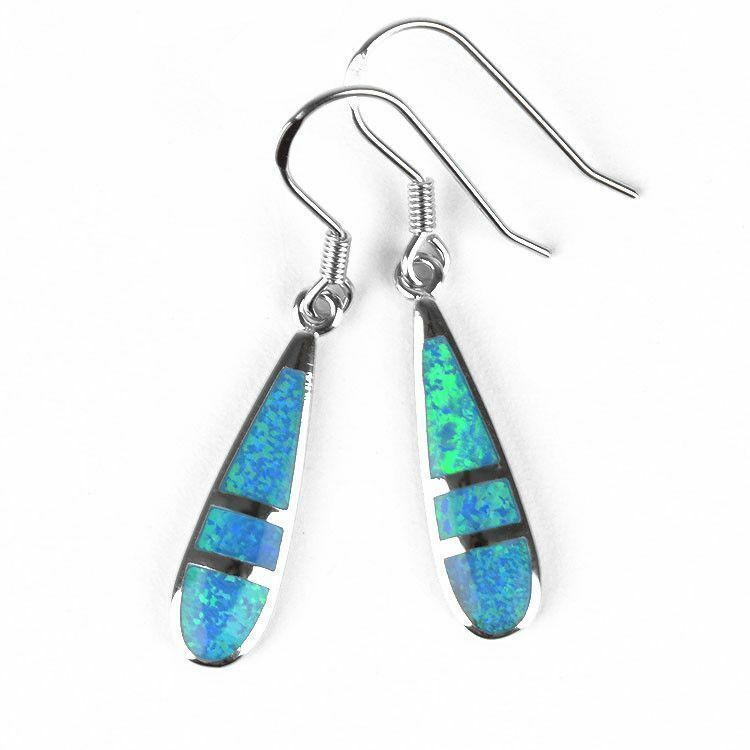 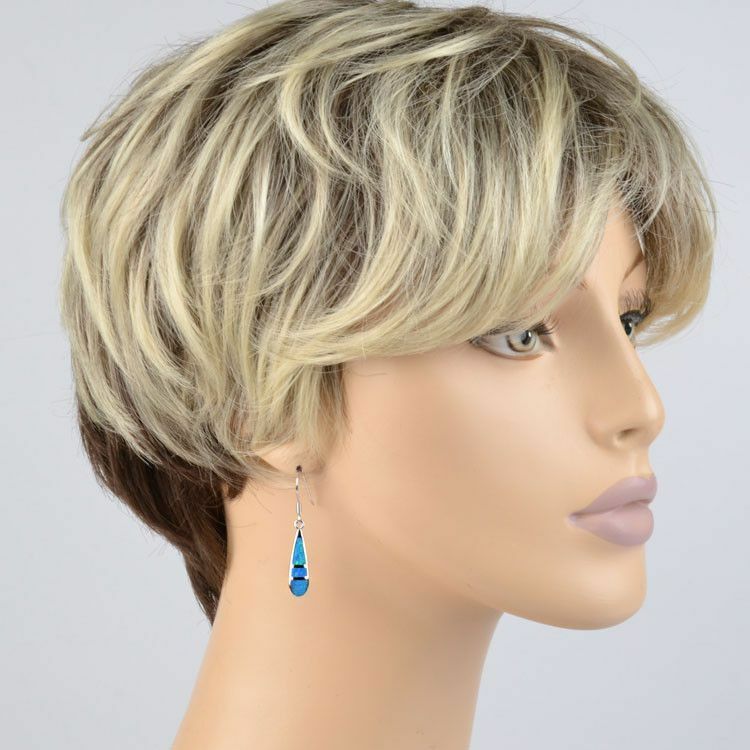 The 1 5/8" long earrings have a drop of about 1" long. 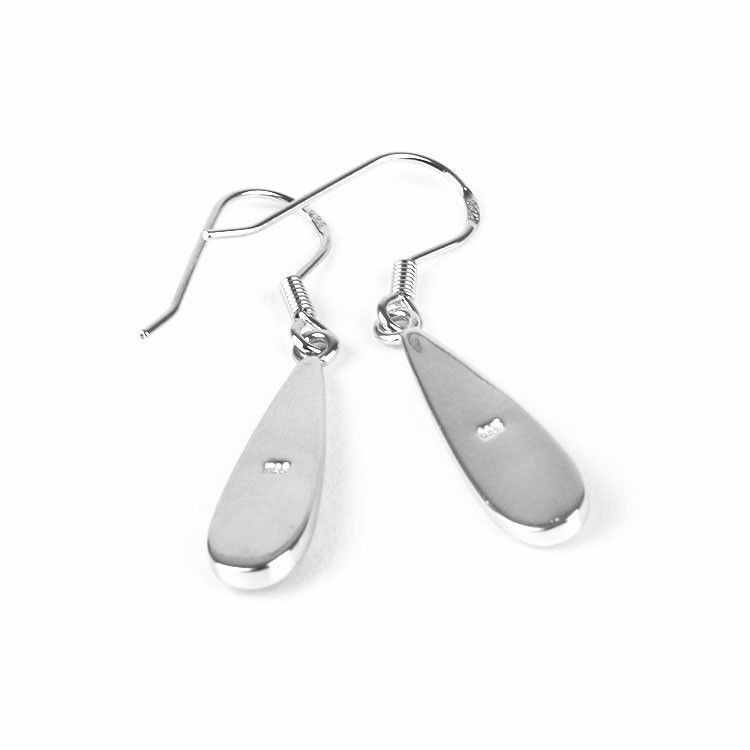 Simple hooks complete these earrings.